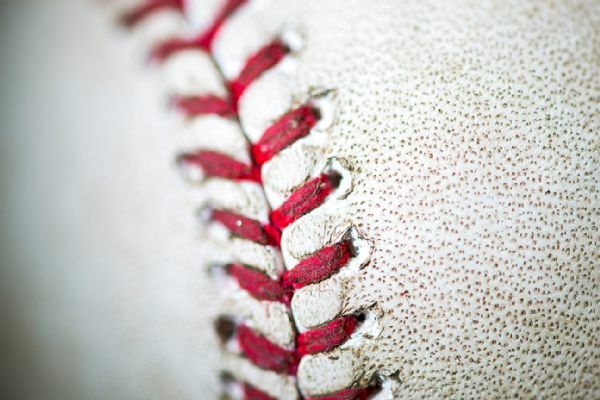 Several Yankees hitters say the biggest difference they see with MLB's factory-rubbed baseball prototypes is that the new balls are darker in color. 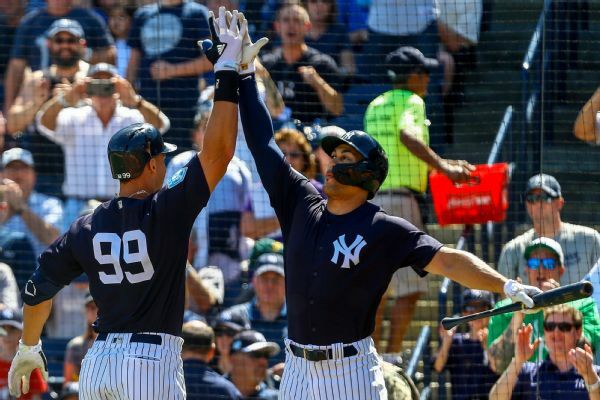 Six months after the 2018 Yankees broke a 21-year-old record for most team home runs in one season, Aaron Judge and Brett Gardner are predicting they'll do it again. 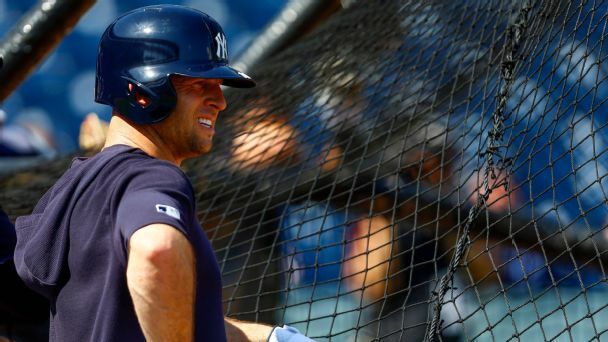 Brett Gardner won a title with the Yankees in his second season in 2009, but New York hasn't reached the World Series since and Gardner called it "a disappointing 10 years" on Thursday. 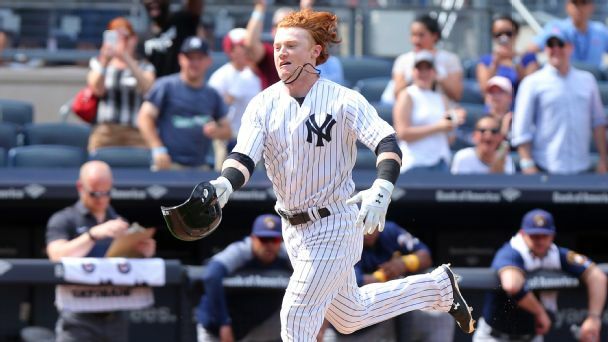 After a season-ending concussion, the Yankees outfielder just wanted peace and quiet. But his doctor had a very different idea: Turn it up to 11. 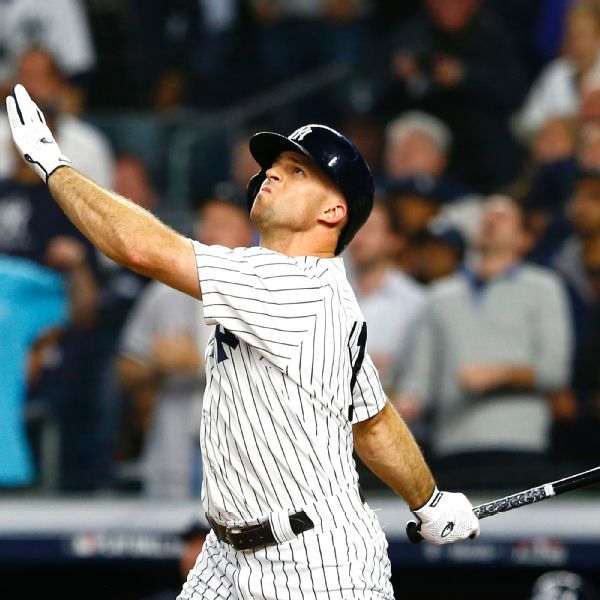 Veteran outfielder Brett Gardner has agreed to a one-year contract to remain with the New York Yankees, the team announced Wednesday. 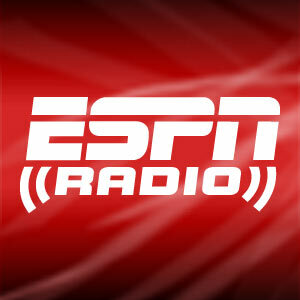 Sources confirmed to ESPN that the deal is worth $7.5 million. 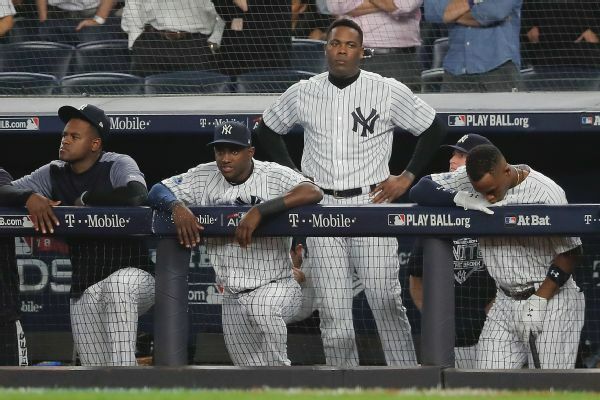 Yankees players didn't expect their season to end Tuesday. 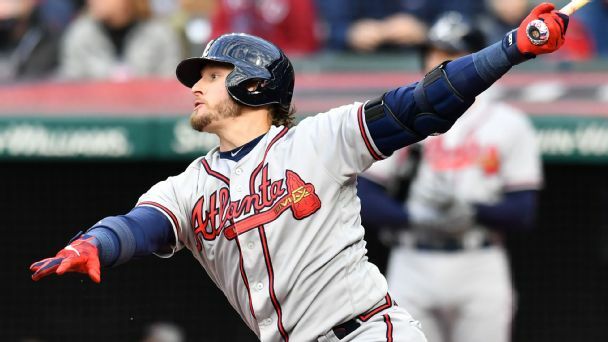 After the loss to the Red Sox, the club reflected on 2018 and looked ahead to next season. 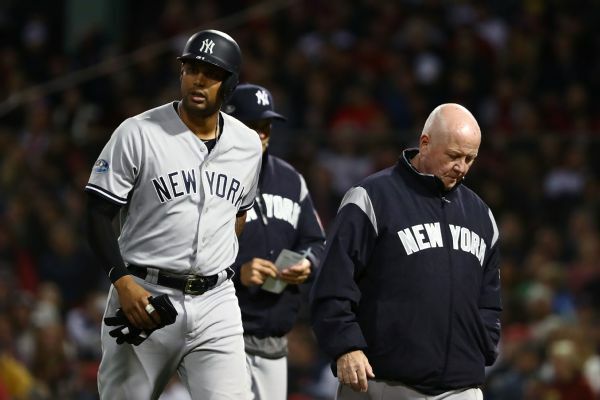 Yankees' outfielder Aaron Hicks is not in the starting lineup for ALDS Game 2 against the Red Sox a day after experiencing hamstring tightness. Same elimination-game starter. Brand-new manager. 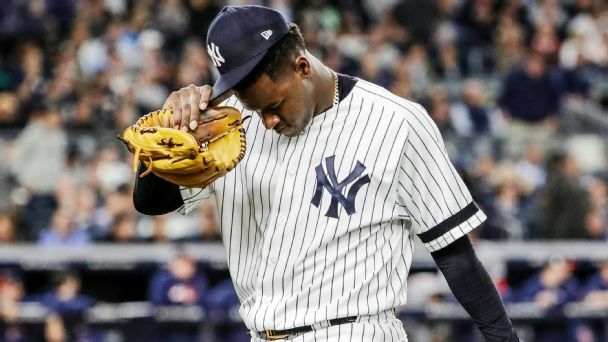 If New York's ace gets socked a second time -- or if his catcher can't cut it -- Aaron Boone has a plan.